If you love the taste of fresh watermelon, you'll love these tips and tricks on how to choose a good watermelon, as well as how to cut and slice watermelon. 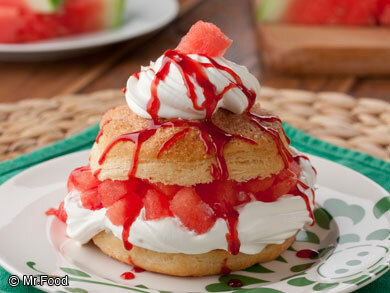 And, while watermelon is at its peak season in the summer months, between May and August, it's available all year-round, which means you can enjoy it anytime! 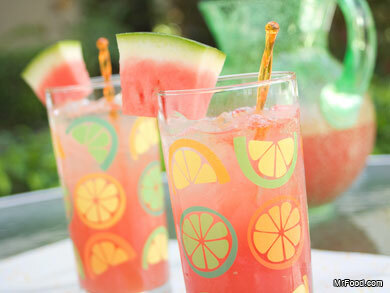 Be sure to view our How-To video, check out some of our tips, and try your hand at one of our many fresh watermelon recipes. 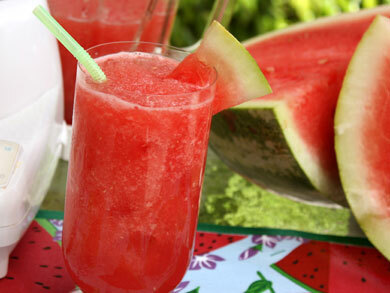 You'll be a watermelon expert in no time! Give the watermelon "the once over." Look for a firm, symmetrical watermelon that is free from bruises, cuts or dents. Lift it up. The watermelon should be heavy for its size. 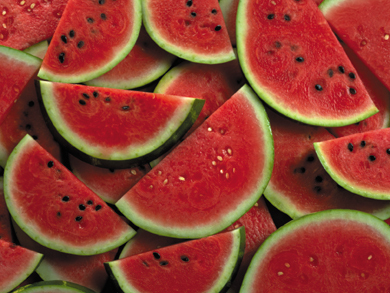 Watermelon is 92% water, therefore most of the weight is water. Turn it over. The underside of the watermelon should have a creamy yellow spot indicating where it sat on the ground and ripened in the sun. Be sure to wash your watermelon and knives before cutting into it. Cut watermelon in half then in quarters. Cut through the flesh of the melon along the seed line with a paring knife. Next, lift off the piece you just cut out. Using a fork, scrape the seeds from the piece you just removed and from the remaining flesh on the rind. Cutting up a watermelon is faster and easier than you may think! All you have to do is cut it in a grid pattern, almost like you were making a checkerboard on the surface of the fruit. Cubes will tumble out ready to eat! Take a quarter watermelon and lay it on the rind with the interior facing up. Place knife about 3/4 inch down from the peak of the wedge. Holding the knife parallel to the far side of the fruit and starting at edge of rind, cut a horizontal line through the fruit all the way down to the rind. Next, place the knife blade 3/4 inch lower and make the same cut. Repeat. Next, turn the fruit to the other side and make the same horizontal cuts. And last, starting at the edge of the rind, make vertical cuts 3/4 inch apart all the way across. Cubes will tumble out ready to eat! Take a quarter watermelon and lay it on the rind with the interior facing up. Place knife about 2 inches from end of wedge. Cut off the curved end of the fruit. Place knife about 3/4 to 1 inch (or desired thickness) into fruit and cut straight down. Repeat until entire quarter is in wedges.